Offering high quality self contained accommodation where you can wake up to the 'Sounds of Silence' and watch the sun set over the amazing views of Smiths Beach in Yallingup, Wildwood Valley Cottages + Cooking School is the perfect choice for your next Margaret River holiday experience. 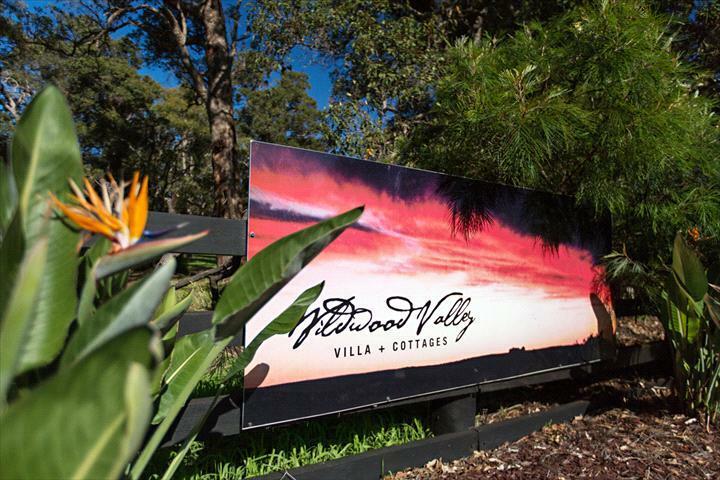 Wildwood Valley, with its magnificent views to the sea, offers accommodation on 120 acres in the heart of the Margaret River Wine Region. It is the perfect accommodation choice for couples, honeymooners, families or groups. Choose from our gorgeous 1, 2 or 3 bedroom self-contained cottages . We enjoy being small and personalised and believe that with our combined cultures, talents and experience we offer something quite different and unique to the South West. While you're in the region, why not consider joining one of our very popular Mad About Food Cooking Classes? Currently, these take place January to March. Available as day classes and private classes - this is an experience not to miss! Mad About Food Cooking Classes are offered as Thai Temptations, A Taste of Tuscany and Wood Fired Cooking. We stayed at Wildwood Valley in the Dragonfly cottage this weekend, whilst visiting the area to combine business with a bit of R&R. This is without doubt the best place we have ever stayed in the Margaret River area. The cottage was fully set up with all amenities including a log fire and a coffee machine, both musts for a trip down South. It is close to a number of wineries and other local attractions. The cottage was spotlessly clean and well laid out with every thoughtful amenity including an electric blanket and spacious lounge and dining room. Great for a family get together where everyone wants their own space, but still to be close together as there are 4 cottages set a small distance apart. Julie welcomed us and explained everything and then we had the place to ourselves. The wifi was the best we've ever had, so super convenient to keep in touch with the outside world (if you need/want to), definitely a thumbs up from us and we'll be back. Awesome! Friendly! HOSPITALITY PLUS! Nothing is too much trouble. OMG THE VIEWS! I can see tge ocean from the front deck the back deck and from the kitchen and bedroom windows! The horses, the sheep and the Mum & Dad with BabyJoey bouncing across the paddocks. I am in heaven and moving in for good! If only! Wildwood Valley is 5 kilometres from Yallingup, 15 kilometres from Dunsborough and 35 kilometres from Margaret River. It is situated on Wildwood Road 2.2 kilometres from the Caves Road end.